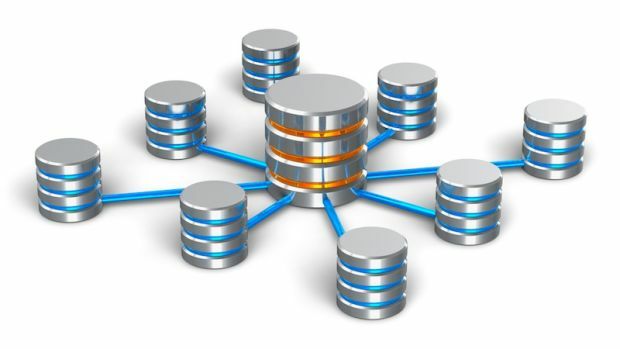 How does a database index work? is small, has just a few columns of the table. refers for a key value to the right block within the table. speeds up reading a row, when you know the right search arguments. Put the most unique data element first in the index, the element that has the biggest veriety of values. The index will find the correct page faster. Keep indexes small. It’s better to have an index on just zip code or postal code, rather than postal code & country. The smaller the index, the better the response time. For high frequency functions (thousands of times per day) it can be wise to have a very large index, so the system does not even need the table for the read function. For small tables an index is disadvantageous. For any function the system would be better off by scanning the whole table. An index would only slow down. An index slows down additions, modifications and deletes. It’s not just the table that needs an update, but the index as well. So, preferably, add an index for values that are often used for a search, but that do not change much. An index on bank account number is better than one on balance. Indexes are used to find rows with specific column values fast. Without an index, MySQL has to start with the first record and then read through the whole table to find the relevant rows. The larger the table, the more this costs. If the table has an index for the columns in question, MySQL can quickly determine the position to seek to in the middle of the data file without having to look at all the data. If a table has 1,000 rows, this is at least 100 times faster than reading sequentially. Note that if you need to access almost all 1,000 rows, it is faster to read sequentially, because that minimizes disk seeks. Most MySQL indexes (PRIMARY KEY, UNIQUE, INDEX, and FULLTEXT) are stored in B-trees. Exceptions are that indexes on spatial column types use R-trees, and MEMORY (HEAP) tables support hash indexes. Strings are automatically prefix- and end-space compressed. In general, indexes are used as described in the following discussion. Characteristics specific to hash indexes (as used in MEMORY tables) are described at the end of this section. To quickly find the rows that match a WHERE clause. To eliminate rows from consideration. If there is a choice between multiple indexes, MySQL normally uses the index that finds the smallest number of rows. To retrieve rows from other tables when performing joins. key_part2). If all key parts are followed by DESC, the key is read in reverse order. If a multiple-column index exists on col1 and col2, the appropriate rows can be fetched directly. If separate single-column indexes exist on col1 and col2, the optimizer tries to find the most restrictive index by deciding which index will find fewer rows and using that index to fetch the rows. If the table has a multiple-column index, any leftmost prefix of the index can be used by the optimizer to find rows. For example, if you have a three-column index on (col1, col2, col3), you have indexed search capabilities on (col1), (col1, col2), and (col1, col2, col3). If an index exists on (col1, col2, col3), only the first of the preceding queries uses the index. The second and third queries do involve indexed columns, but (col2) and (col2, col3) are not leftmost prefixes of (col1, col2, col3). An index is used for columns that you compare with the =, >, >=, <, <=, or BETWEEN operators. 'Patricl' are considered. In the second statement, only rows with 'Pat' <= key_col < 'Pau' are considered. MySQL 4.0 and up performs an additional LIKE optimization. If you use ... LIKE '%string%' and string is longer than three characters, MySQL will use the Turbo Boyer-Moore algorithm to initialize the pattern for the string and then use this pattern to perform the search quicker. Searching using col_name IS NULL will use indexes if col_name is indexed. Any index that doesn’t span all AND levels in the WHERE clause is not used to optimize the query. In other words, to be able to use an index, a prefix of the index must be used in every AND group. Sometimes MySQL will not use an index, even if one is available. One way this occurs is when the optimizer estimates that using the index would require MySQL to access a large percentage of the rows in the table. (In this case, a table scan is probably much faster, because it will require many fewer seeks.) However, if such a query uses LIMIT to only retrieve part of the rows, MySQL will use an index anyway, because it can much more quickly find the few rows to return in the result. They are used only for = or <=> comparisons (but are very fast).